In the December phone conversation, which Wilson-Raybould said she recorded because nobody was around to take notes, Michael Wernick, a top public servant and senior advisor to Trudeau who resigned over the scandal earlier this month, conveyed Mr. Trudeau's concerns with her decision on the SNC-Lavalin case, despite Wilson-Raybould's insistence that any attempt to interfere with prosecutors' decision would constitute tampering in the judicial process. During the call, Wernick insisted that if Wilson-Raybould didn't offer the firm a deferred prosecution agreement, as had recently been allowed by a change in Canadian law, Trudeau would find a way to get it done "one way or another." Mr. Wernick suggested Mr. Trudeau wanted the company to get a settlement and was going to "find a way to get it done one way or another." He also said he was worried, because it wasn’t good for the prime minister and attorney general to be at "loggerheads." Ms. Wilson-Raybould said the decision on whether to offer the company a settlement was up to prosecutors and warned that any attempt to reverse it would be seen as interference in the judicial process. "This goes far beyond saving jobs - this is about the integrity of the prime minister," she said in the call. "This is about interfering with one of our fundamental institutions." In the call, she said several times she was uncomfortable with the entire conversation. "We are treading on dangerous ground here," she said in the call. "I cannot act in a partisan way, and I cannot be politically motivated." A source close to the PM told WSJ that Trudeau, who has said he wanted to try and avoid job losses in politically vital Quebec (the firm risked going under if it was barred from receiving government contracts), wasn't briefed on the call. 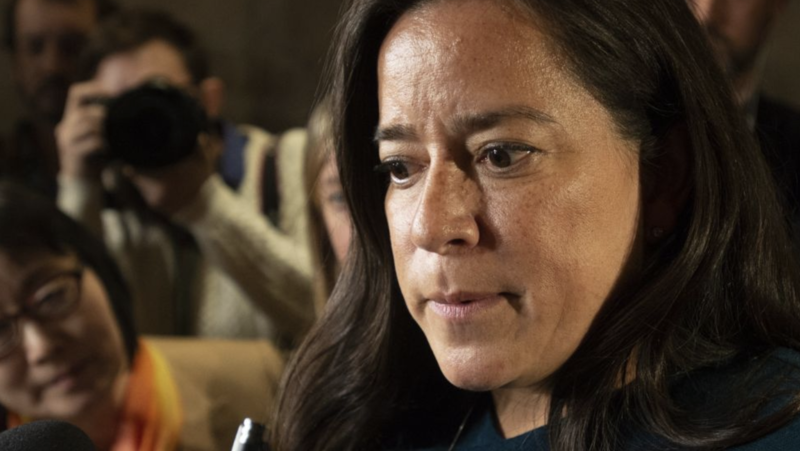 Wilson-Raybould resigned from Trudeau's cabinet in February after she was abruptly moved to a different role widely seen as a demotion. Still, as a Parliamentary probe into the scandal ramps up, we wonder how much longer the Liberals, who have mostly closed ranks around Trudeau, can hold out.